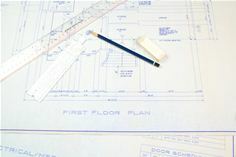 New Approach to Planning Could Help Solve UK Housing Shortage, Say Experts at Top 10 Finance Ltd.
One of the UK’s leading brokers for small-to-medium-sized property developers have reported a spike in finance applications, despite otherwise slowing house prices. Top 10 Finance Ltd. have experience handling projects from £300k-£5m, and with over 12,000 developers comparing loans with the company, they understand the challenges that these developers can face, better than most. Although the number of finance enquiries seems to be increasing, the company notes that planning issues continue to hold back property development projects. With lengthy lead times from planning application through to receipt of the appropriate permissions, housing projects throughout the UK are being delayed – something which may not be getting as much attention as it should whenever the housing shortfall is being discussed. “If this could be tackled effectively, tens of thousands of houses could be built, helping to provide shelter for the many people in Britain desperately seeking secure housing,” says Anthony Brindley of Top 10 Finance Ltd, an experienced property developer himself. Anthony’s recent projects have taken between 9 and 20 months just to receive planning sign off. Even though his site in Ventnor already had planning for two dwellings, it took a further 20 months to increase this from 2 to 3 dwellings. Anthony put a pre planning application in for the additional unit in August 2016 which was recommended for approval, however actual planning was only granted in April 2018 after nearly two years. In addition, another site in Surrey with an existing dwelling on it took 9 Months to achieve planning even though the replacement dwelling was in the same footprint as the existing dwelling. One of the main issues was planning offices asking for an extension of time and, then waiting until the very last day of the agreed extension before asking for further information and then asking for another extension, this cost a 5-month delay on the Surrey site going over the same questions. Smaller developers can’t afford to let their land reserves sit idle, and in obtaining the planning permission they need in a more sensible timeframe, which could significantly improve the rate at which new properties are added to the housing stock. Planners are under pressure, but it would seem current legislation expects smaller developers to undergo the same ‘hoop jumping’ as larger applications. Delays and unexpected time-extensions are big problems for property developers on a budget – especially when they can very often extend the timescales for obtaining permission well beyond the suggested 8 weeks target for planning authorities. The company suggests new guidelines must be put in place to help those small-to-medium developers who want to spend more time building houses, and less time waiting for planning approvals. With an altered approach, Top 10 Finance Ltd. is confident these SME developers are the key to helping solve the UK’s housing shortage once and for all.